Remember the awesome onesie that Jax was wearing last Friday from Teesies? Don’t miss a chance to win it in our Vintage Sesame Street Giveaway (along with lots of other goodies)! But that’s not really why we’re writing this post . . . we wanted to share even more fabulous Teesies onesies with you all (since Libby has so many clever ones it wasn’t really hard to find some that we truly LOVE). Teesies shop announcement reads, “If childhood is full of giggles, grins and inside jokes…shouldn’t parenthood be too? ” And Libby bases all of her onesies and t-shirts off of this statement, adding little humorous touches throughout her entire baby clothing line. 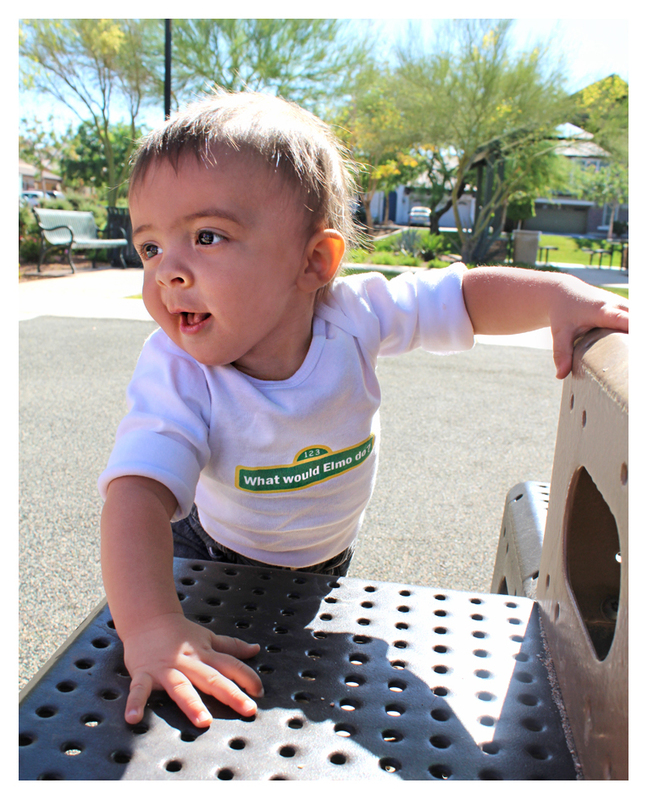 We were grinning ear-to-ear reading through some of these clever shirts (and picturing babies in them). 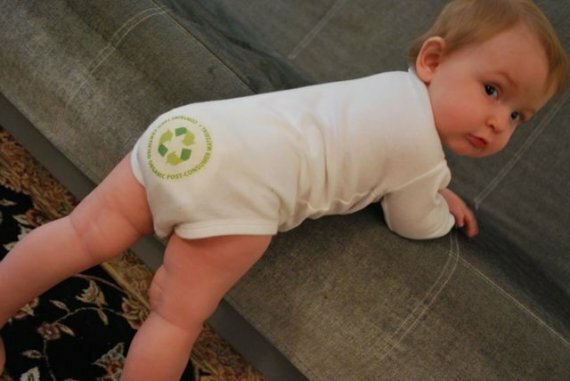 100% Certified Organic onesie from Teesies - too cute! Also, the look on the little kiddos face in this last one is absolutely classic. If you want to learn more about Teesies creations and personal style, go to her blog or follow her facebook! P.S. if you grownups are dying to have an adult version of “What would Elmo do?” Libby has that too, here!